Sage (Salvia officinalis) is commonly referred to as common sage or garden sage, but common doesn’t do it justice and it deserves a bit of space in the garden. Don’t worry, forming a 2′ ball at full-size, it won’t take up much space. With its woody stems and soft, silver leaves, sage can be planted in an ornamental garden and none would be the wiser. It is a perennial plant, so you need only plant it once and you can use enjoy it for 3-4 years before it begins to look lackluster. Although sage can be grown from seed, the best way to start it in the garden is to make friends with someone who already has an established plant. Seeds or cuttings should be started indoors, eight weeks before the estimated spring frost. Once the danger of frost as passed, seedlings or rooted plants can be moved outdoors. Space them approximately 2′ apart in a sunny location. If you are planting your sage in a vegetable garden, it makes an excellent companion to carrots and cabbage, but don’t plant too close to cucumbers. The potent aroma of sage can actually change the flavor of your cucumbers. 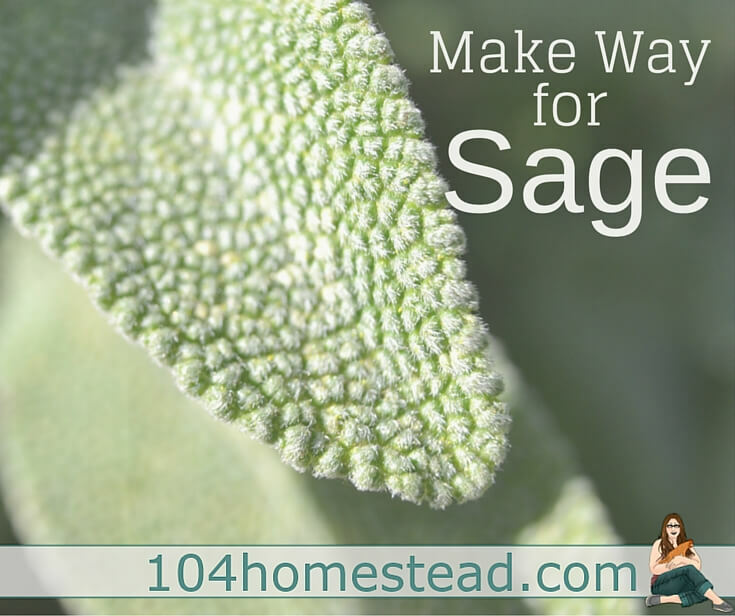 After the first season of growing sage, you can begin to harvest lightly. 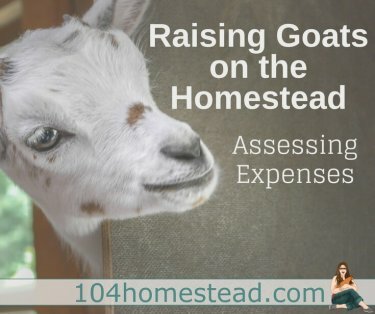 By the second year, you can safely trim off a good amount of the plant to enjoy indoors. To harvest, just trim the stem (no more that 2/3 the stem length) then strip the leaves. Sage can be frozen or dried, but for culinary purposes, it’s best used fresh. A sage gargle is my go-to home remedy for sore throats. To make a gargle, steep a pinch of leave into a couple ounces of boiling water. Once it has cooled, remove the tea ball and add a splash of apple cider vinegar. Gargle the remedy until the glass is empty. Repeat two or three times a day until the pain is relieved. Sage goes beyond flavoring when used in recipes. It also aids in digestion. Although it can be used in sauces and cheeses, the food most associated with sage is stuffing. I find that sage doesn’t have a flavor, necessarily, but it heightens the flavors already in the recipe. This is a Thanksgiving staple in our home, but it is lovely any time of year. Preheat your oven to 350ºF. Cut the sandwich bread into 1″ cubes and set them aside. In a large, deep skillet, melt butter over low heat. I like to use cast iron. Add the minced onions and chopped celery. Saute until the vegetables are translucent, but don’t let them brown. Add the salt and pepper and fresh sage, and cook until you can smell the sage’s flavor. Remove the skillet from heat and allow it to cool enough to safely handle. Toss in the bread cubes. Using your hands, make sure all the bread is coated in the mixture. Transfer it from the skillet to a baking dish and pour the stock over it. Bake covered at 350ºF for 30 minutes, uncovering in the last 10 minutes of cooking to let the bread crisp. Your timing is impeccable. We just sent out sage seeds. I’m so excited! I’ll be watching the mail and sharing my haul on Instagram. I actually make a sage tea to use as a hair rinse as I have brown hair. I read that it will help with the grey hair problem I am having. It seems to darken the hair a little over time, but apple cider vinegar rinse lightens my hair to the point my ends are blonde.